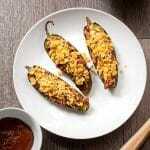 These aren’t your typical cream cheese filled jalapeno poppers. 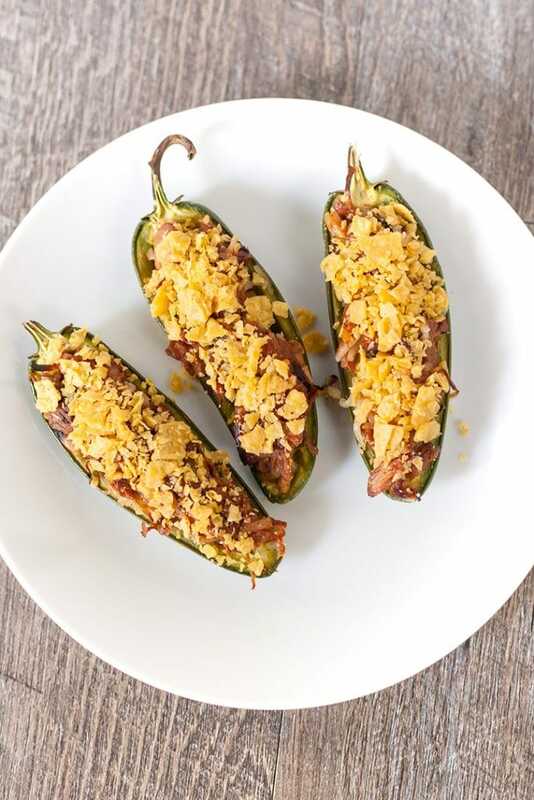 These are more like if jalapeno poppers and nachos got together and had a baby. Making pulled jackfruit is really very easy, but it takes time. Canned jackfruit comes is in little triangles that look kind of like pineapple chunks. One corner of the triangle is the harder and more solid core while the rest is more stringy and easily pulls apart. 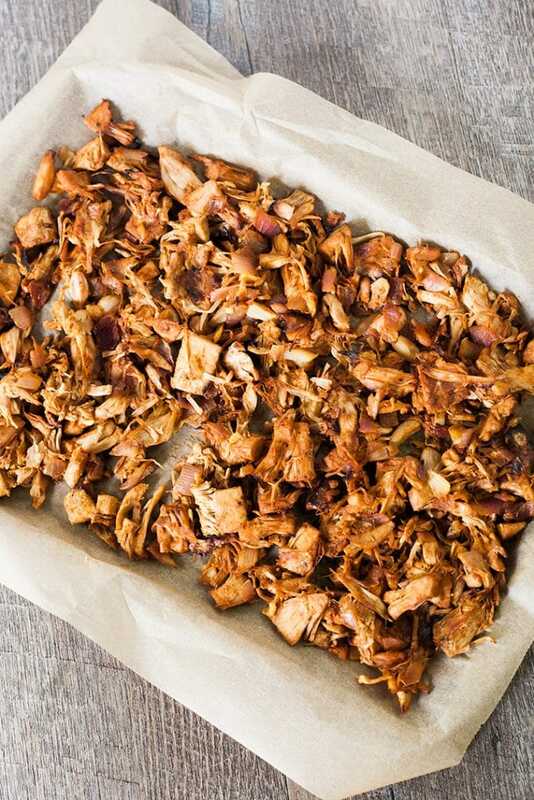 Cut the jackfruit into strips that contain both the core and the softer part. Then saute until it’s soft enough to break apart with a potato masher and then bake until the edges are almost burnt. 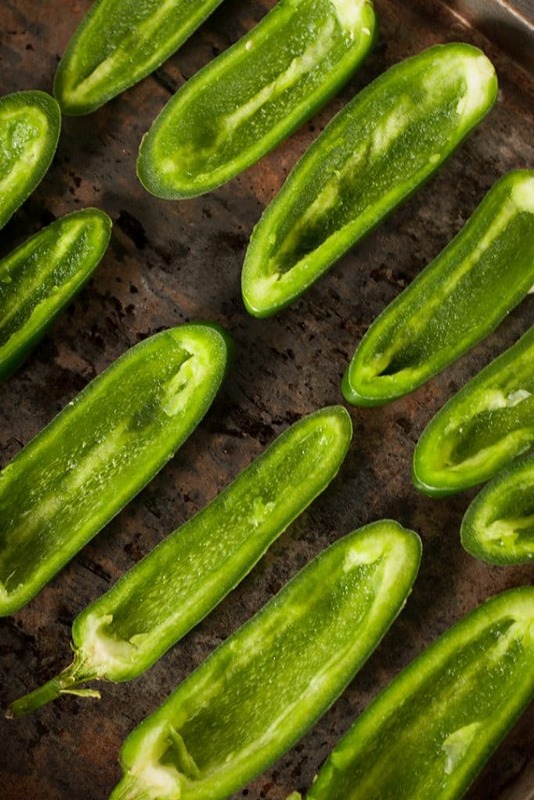 The seeds and membrane of the jalapeno can be easily removed with a melon baller or large spoon. These tasty popper are the perfect finger food for a Super Bowl party (or any party). For more party recipes check out Peanut butter pretzel bars, Vegan Nutella Trail Bars, and Triple Almond No Bake Cookies. This looks fantastic! I have been thinking about trying jack fruit. This is a new one to me. Oh my, this looks amaaazing! 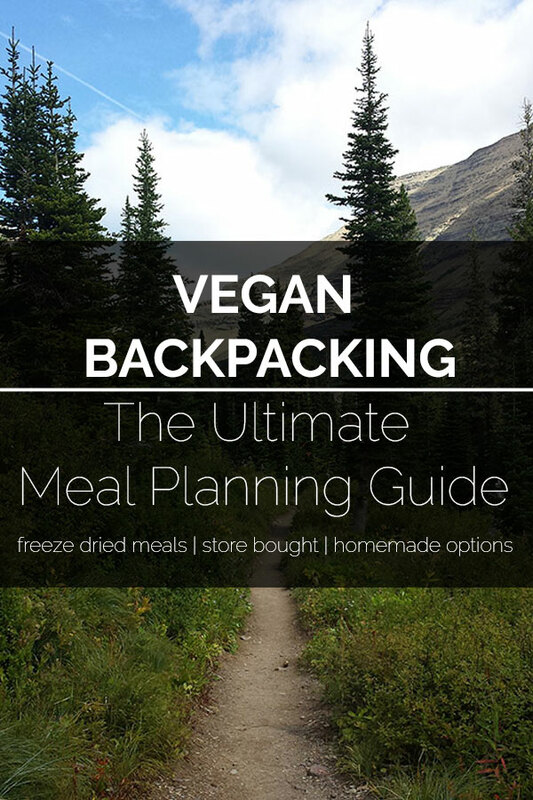 Too bad I have no idea where to find pulled jackfruit in my country, but I won’t give up on searching, recipes with it always seem mouthwatering! This looks great and the best part is it seems easy to make too! I won’t mess it up haha thank you, great recipe! 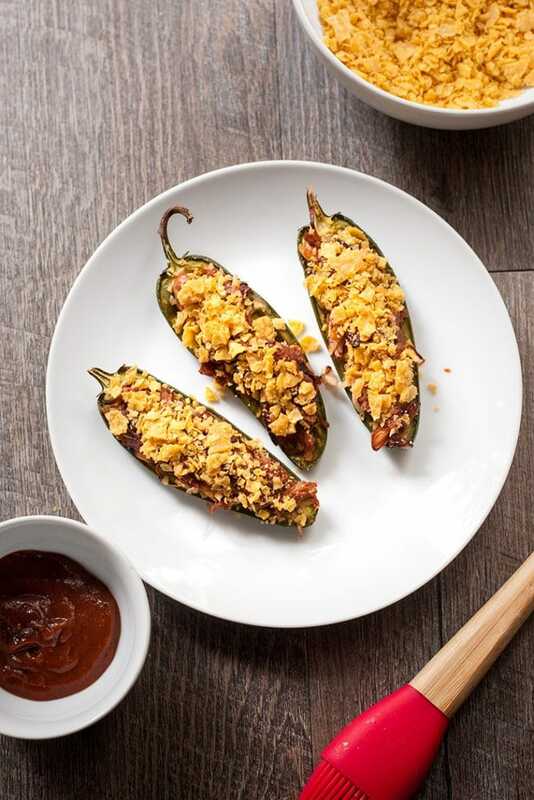 I’m so heartbroken that I can’t get jackfruit in Madrid because jalapeno poppers and my level 2 kyrptonite, coming right after nacho, and these look AMAZING. Any suggestions for replacing the jackfruit?